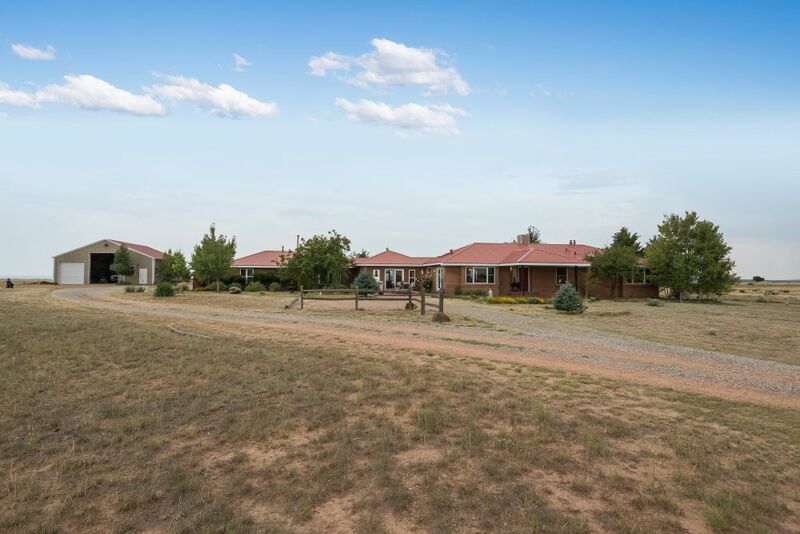 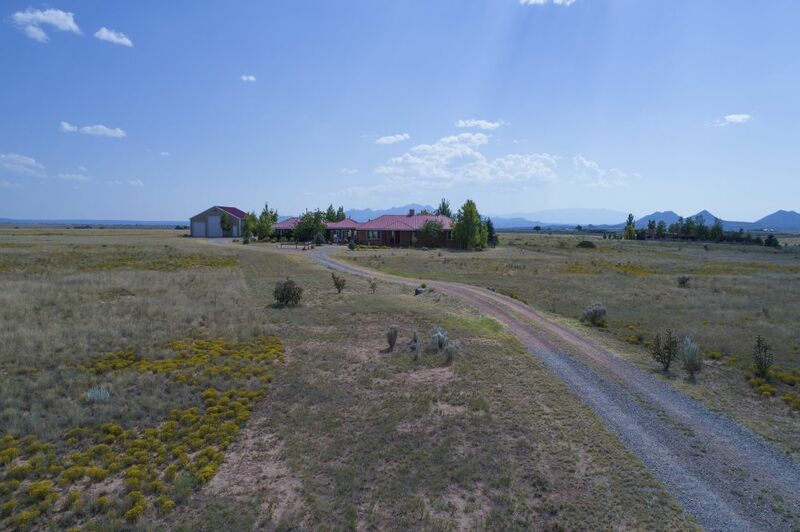 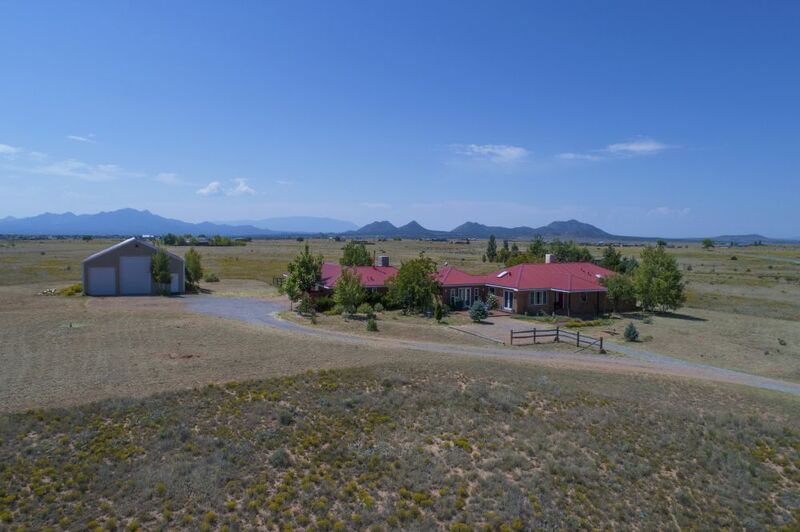 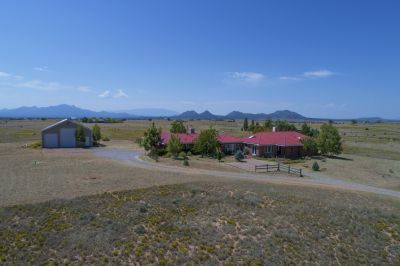 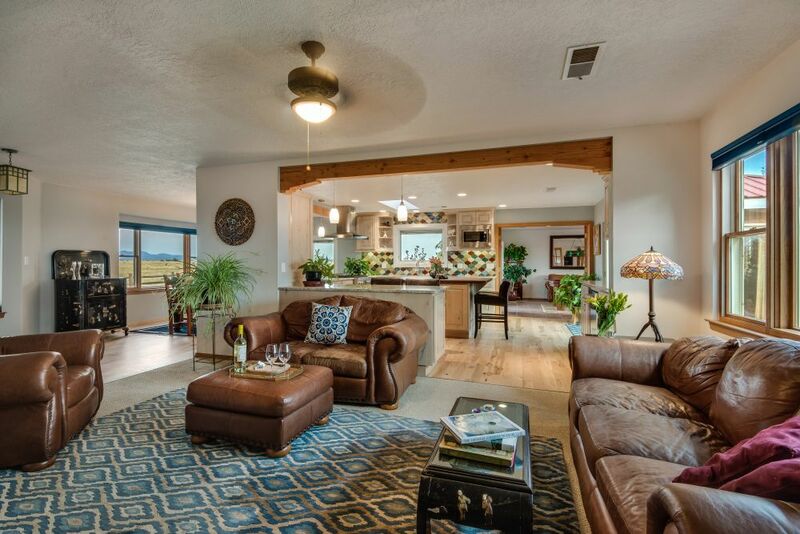 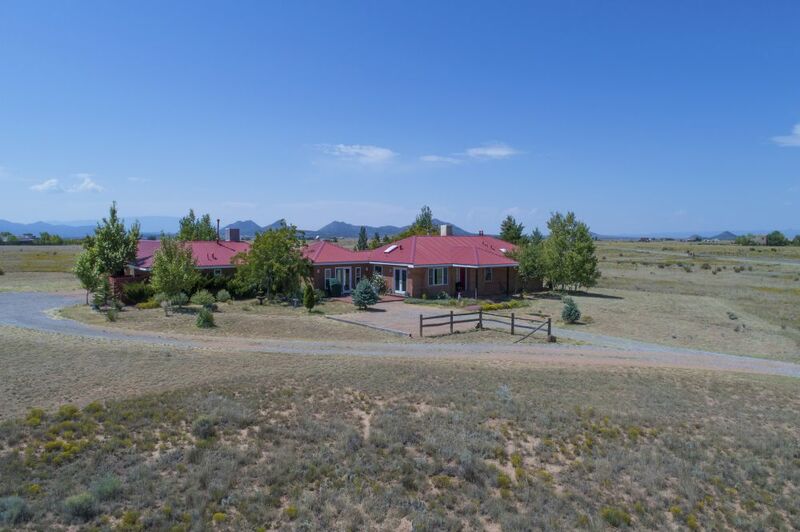 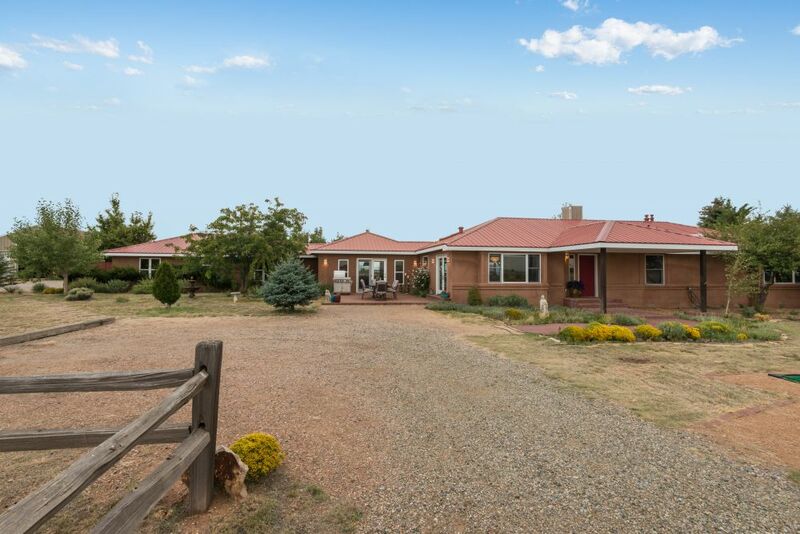 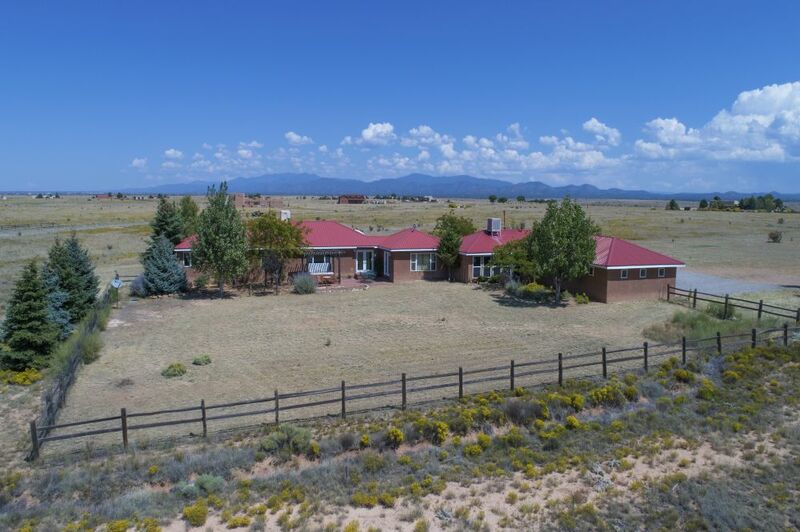 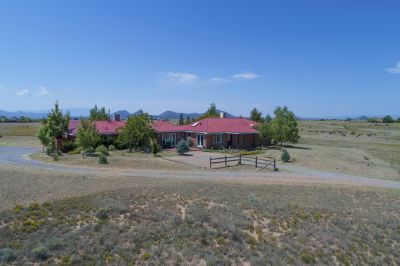 First time on the market, this stunning 13+ acre 3 bedroom/3 bathroom home offers all- around mountain views, gorgeous sunsets, starry nights in Ranchos San Marcos, a gated equine community off the famous Turquoise Trail! 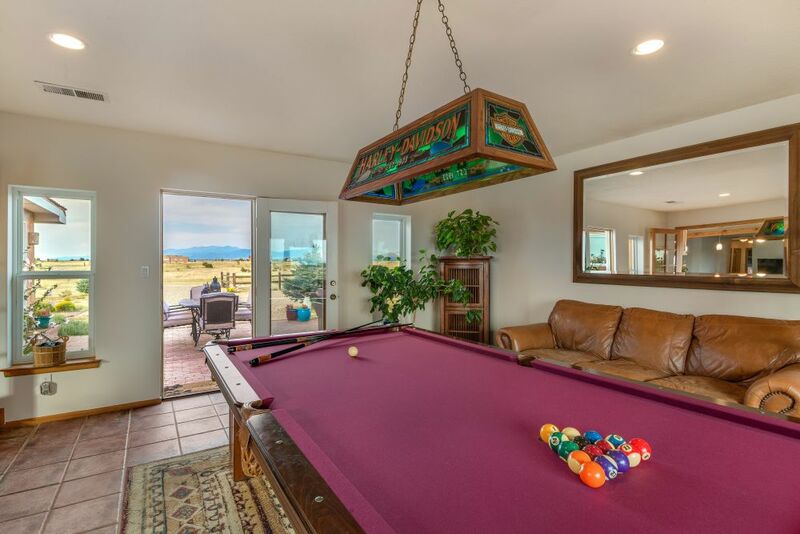 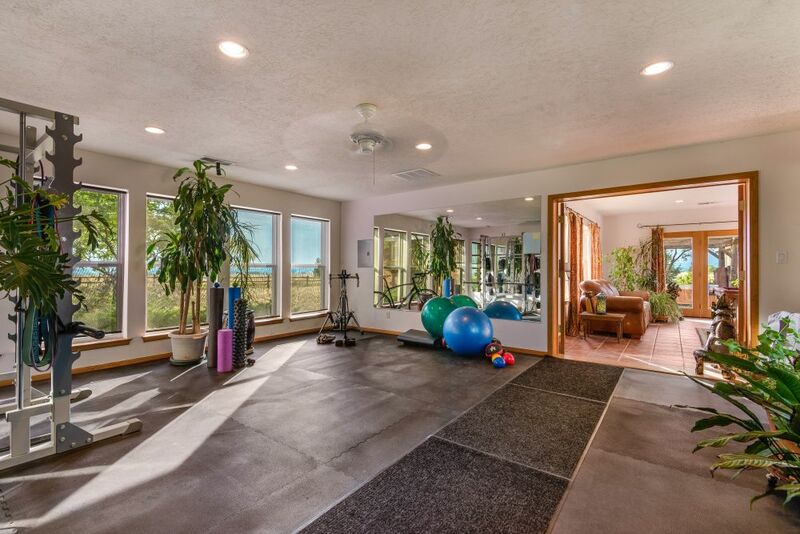 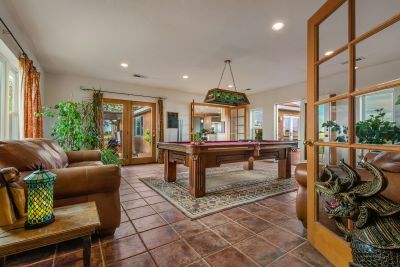 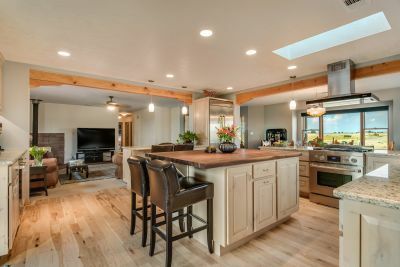 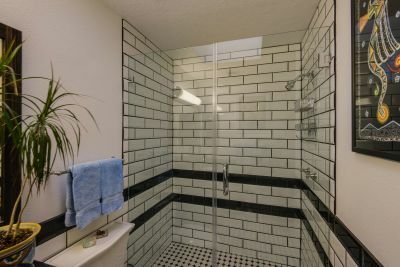 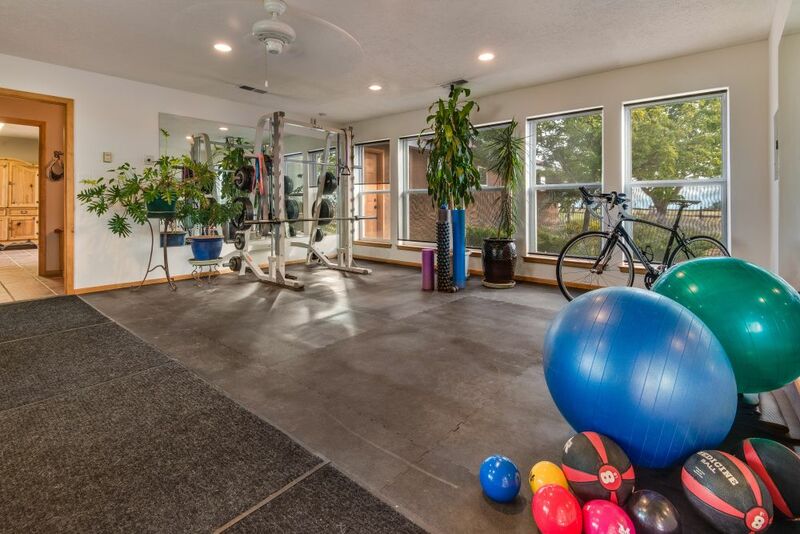 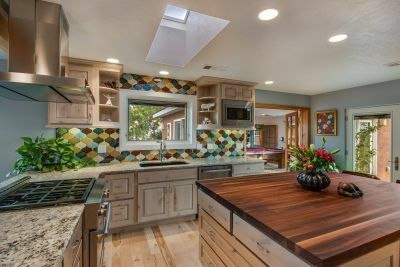 The original home, a significantly updated Preferred home, was expanded with a 2003 custom addition adding: 4-car garage w/workshop; 2 large rooms currently used for fitness and media/billiards; bathroom and large laundry room. 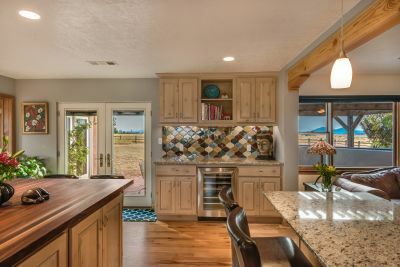 A recent high-end $83,000 gourmet kitchen renovation includes: custom cabinetry, granite countertops, high-end Jenn Air stainless appliances, wine refrigerator, large central island with walnut top, hickory hardwood flooring and fantastic storage. 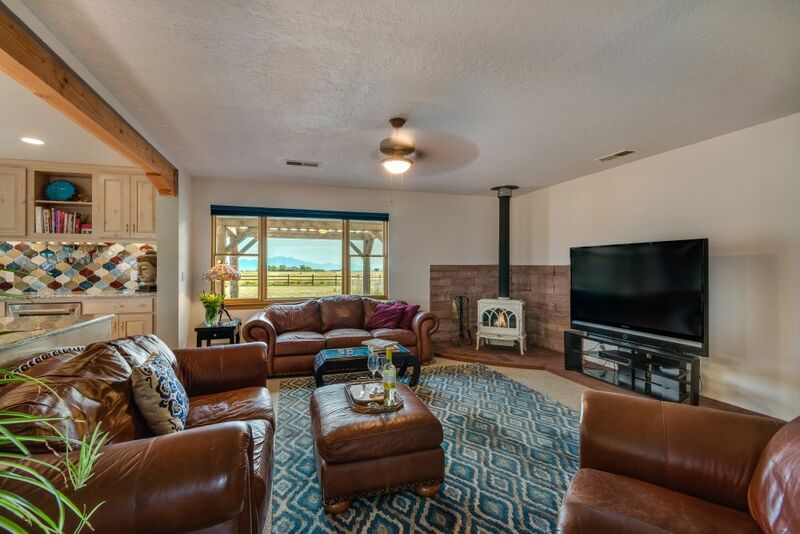 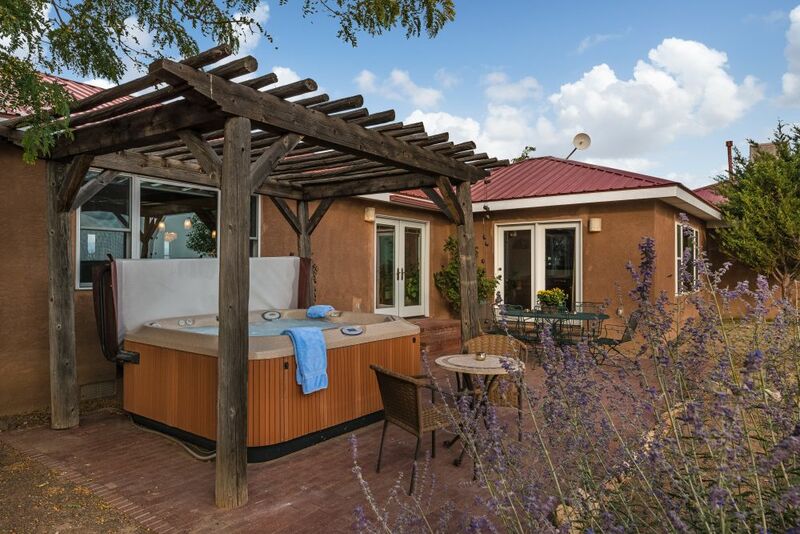 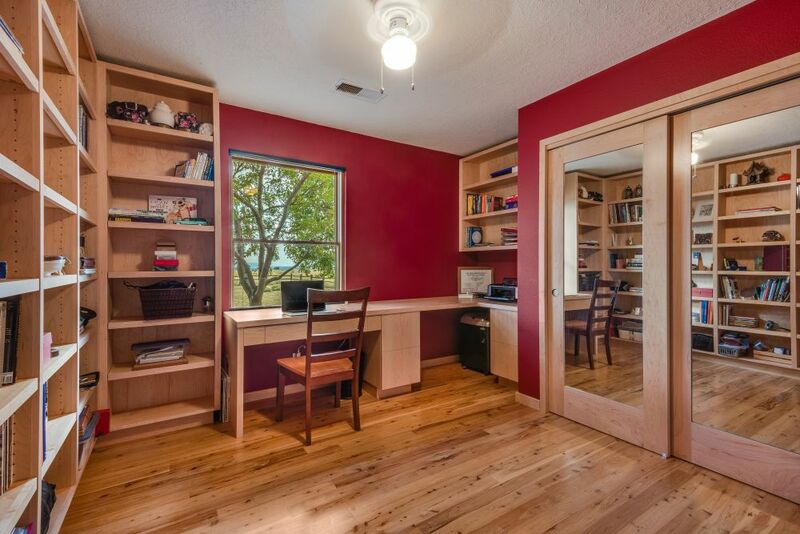 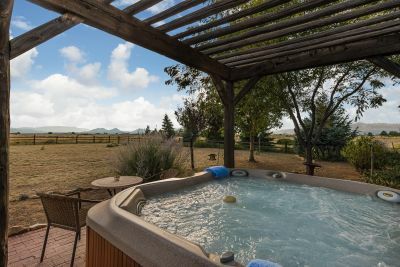 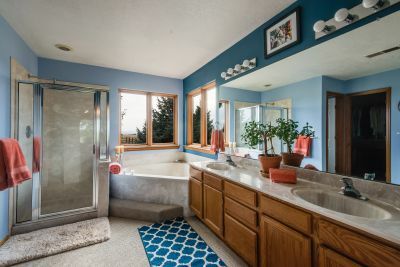 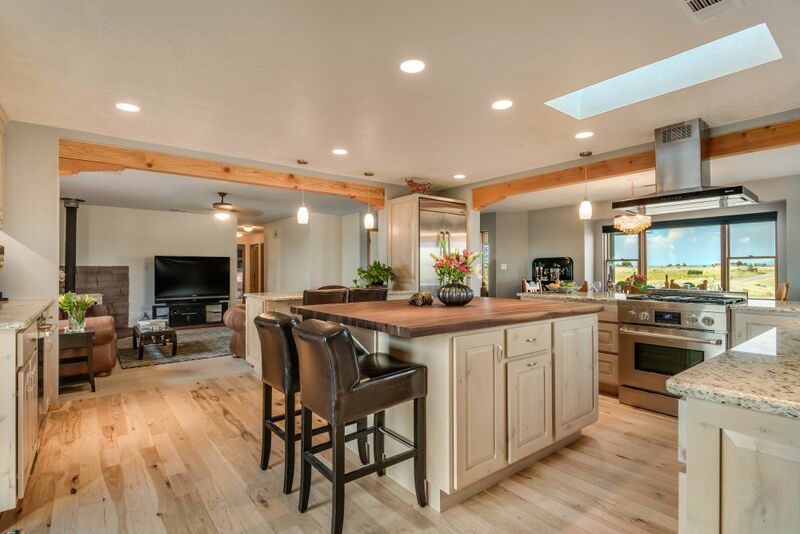 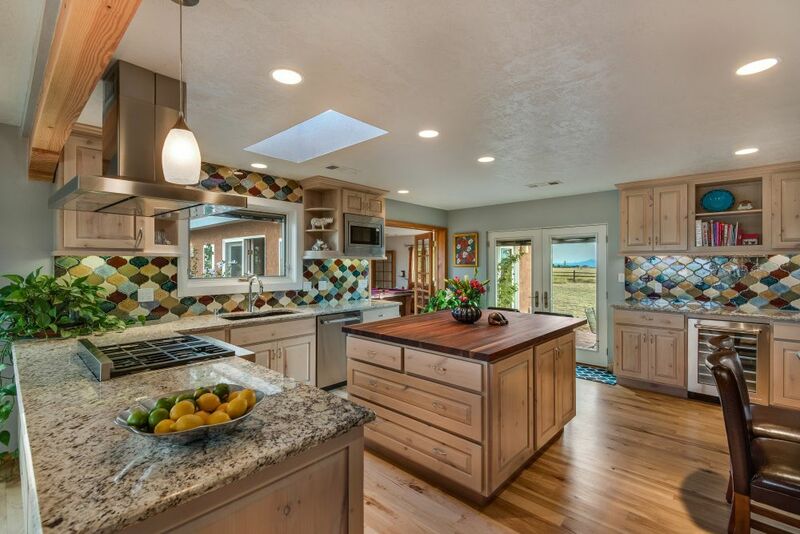 This home has a wonderful open floor plan which is perfect for entertaining and flows easily from inside to outside onto two separate patios with dining/lounge spaces, a one-acre fenced yard and a great hot tub. 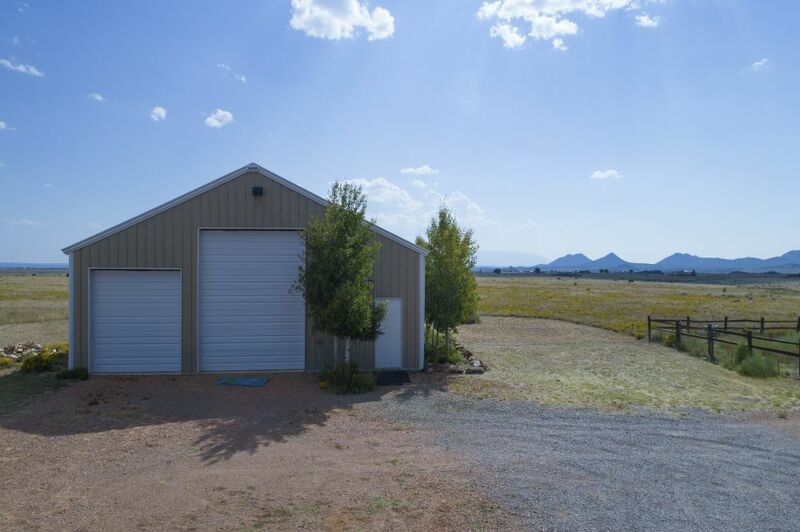 The big bonus is a 2000 sq ft multi-use steel framed out building with a 30 ft high center ceiling height, 220 volts and two 14' high garage doors on each side of the building. 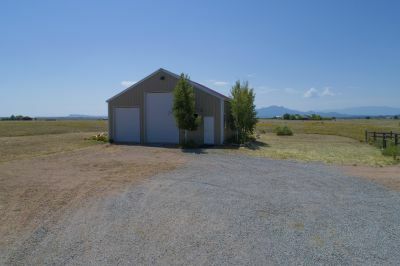 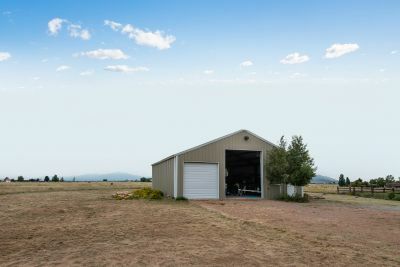 Currently used for RV storage, this can easily convert to an artist studio, horse barn or workshop. 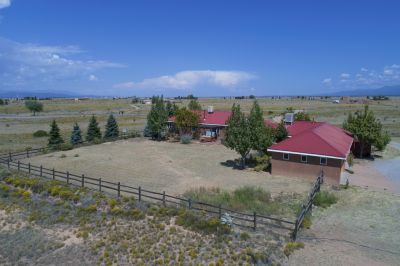 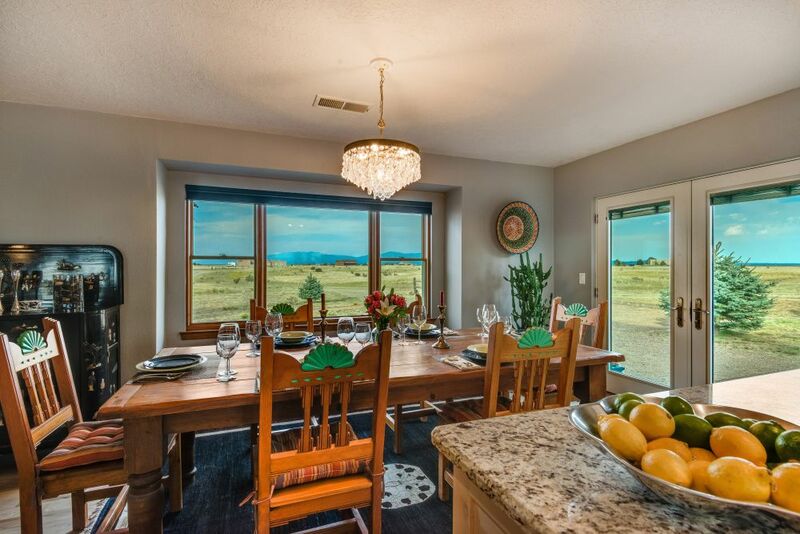 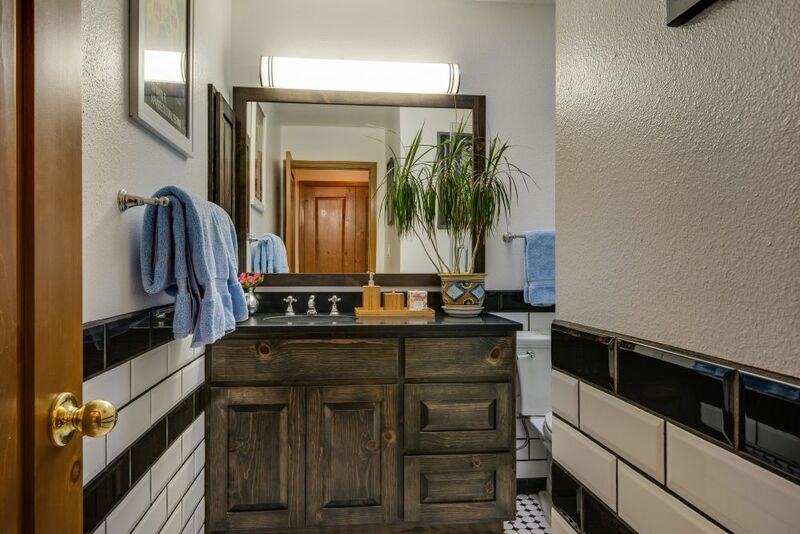 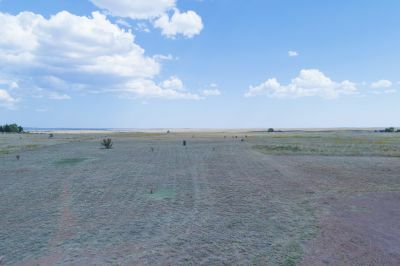 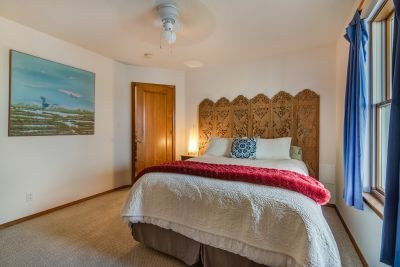 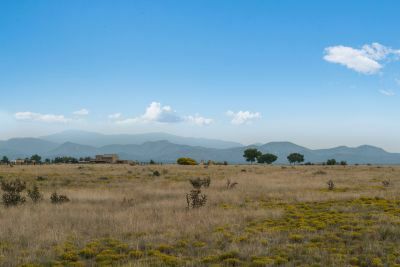 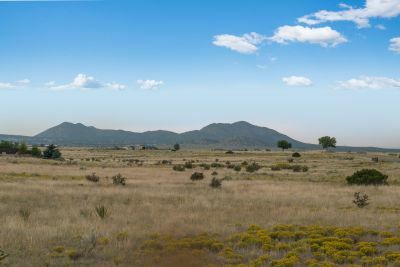 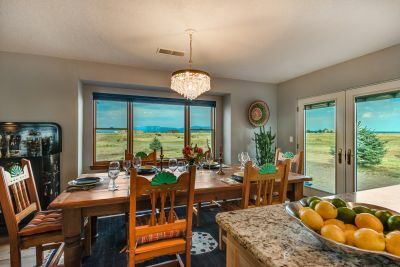 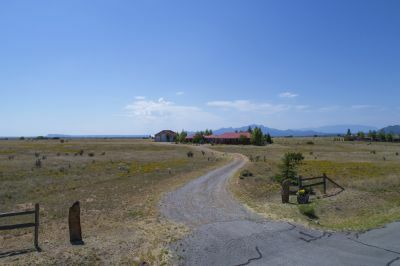 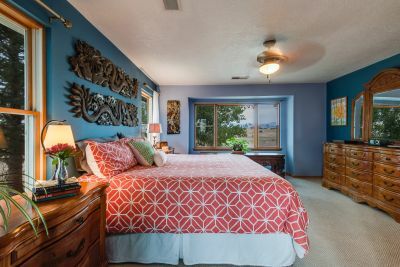 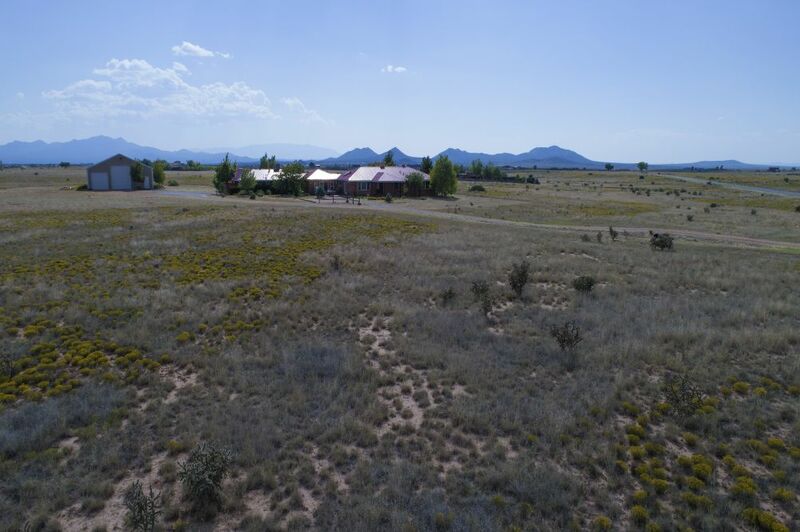 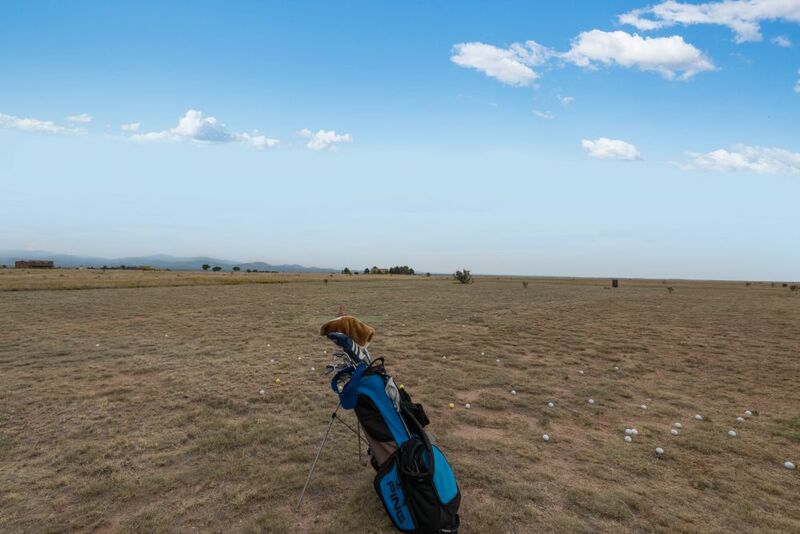 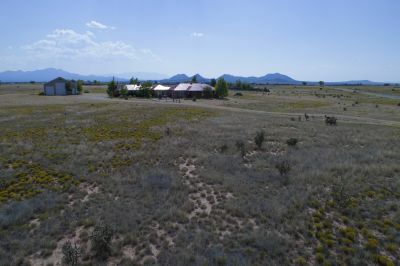 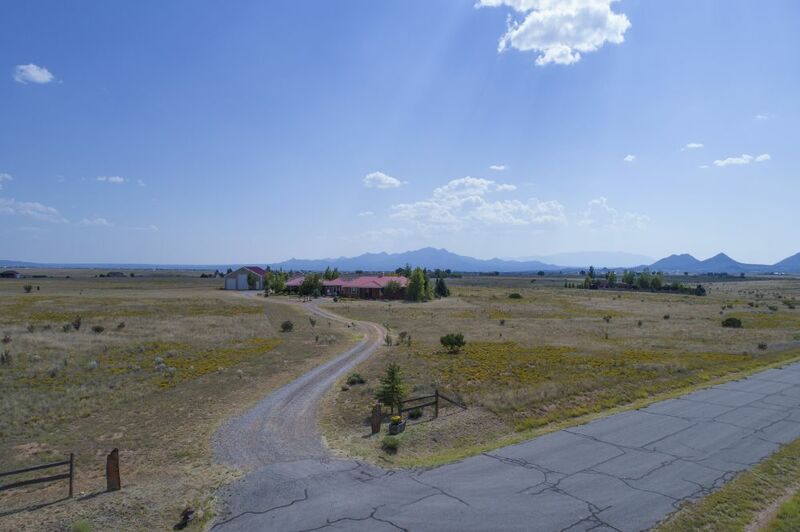 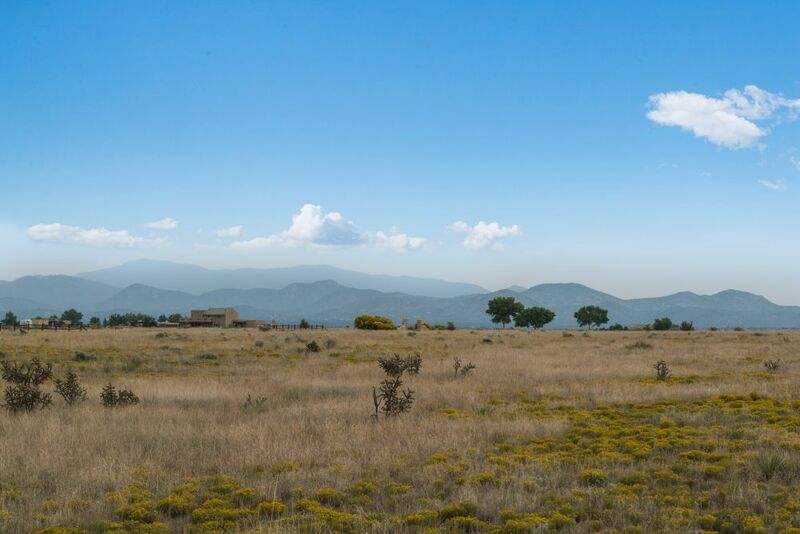 This picturesque community offers a great life style, tranquility, forever mountain views, riding trails and 50- acre park while only a 25- minute drive to the Santa Fe Plaza. 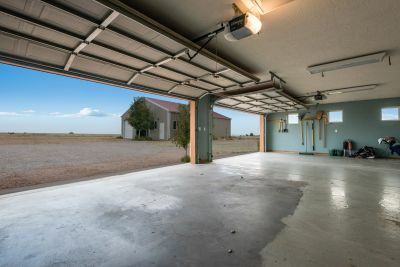 Extras: Cooking - Gas, Garage Door Opener, Hot Tub/Spa, Insulated Windows, Landscaped, Out Buildings, RV Parking Available, Satellite TV, Sprinkler/Drip Sys.